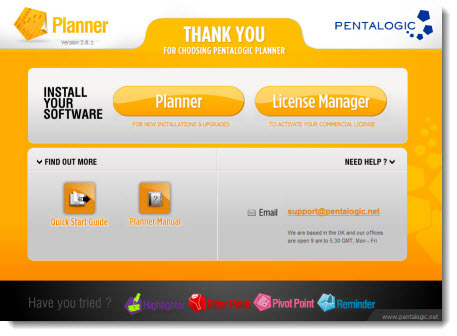 You only need to install Planner at this stage, but if you later want to purchase a license you will also need to install the License Manager - so you may wish to install both at the same time. If any errors are shown (such as the Admininistration Service is not started) you can correct that then click Previous and Next to recheck. 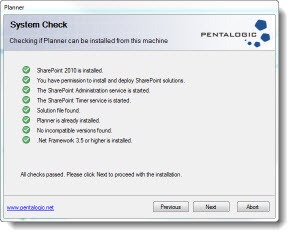 If Planner is already installed it will give you the option to repair or remove.